This Is Getting Old: Favorite Jersey Day... Today! 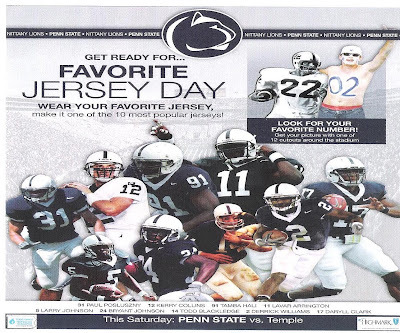 Wear your favorite Penn State jersey to the Temple game today. I think most people already do that so I'm not sure what the point is. Wear it anyway! Go Lions!